It was 26 years ago, on December 21, 1988, but I’ll never get those photographs out of my mind. 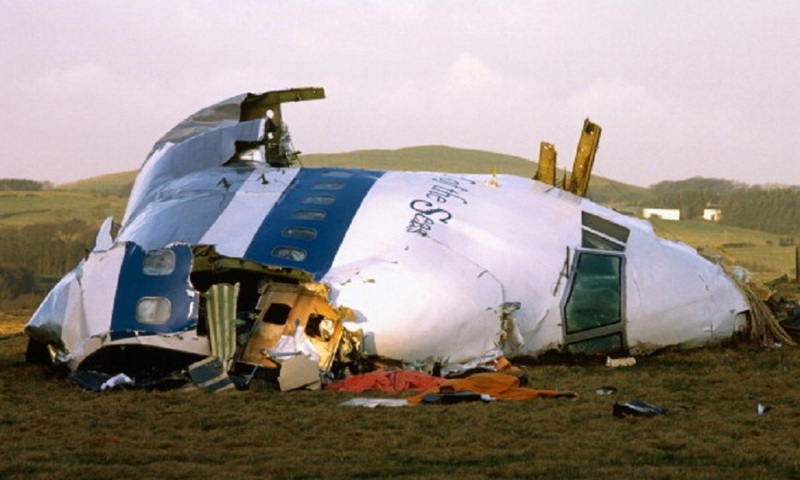 Pan Am’s Clipper Maid of the Seas lay shattered in that Scottish meadow of Lockerbie, images that would soon flash across television screens all around the world. For most of the retired and active employees of Pan Am, like myself, the world seemed to come to a standstill as we anxiously awaited word about the victims. This tragedy has been called “the day the heart of Pan American died”, and became the final nail in the coffin of our beloved company. While the world mourned the 243 passengers and the 11 victims killed on the ground, our Pan Am family went into shock over the loss of our 16 precious crew members. We fellow Pan Amers remained glued to our televisions and radios, dreading the possibility that we’d lost close friends. Those of us sitting on jump seats, and pilots manning the cockpits were always aware of the possibility that things could go horribly wrong, but our job was to reinforce the passengers’ need for the denial of death. It was one of our most important functions. But after the Lockerbie tragedy how could anyone ever again deny the possibility of being blown from the sky? I remember wondering over and over what it felt like for the crew and passengers in those final moments. Were they conscious? What were they thinking about? Did they feel pain? Fear? Did they see the ground coming towards them? The Prologue of Flying: A Novel by Paula Helfrich and Rebecca Sprecher puts words to our deepest fears, but at the same time comforts us that somebody is bearing witness to their experience. Personally, the trauma of Pan Am 103 set me on a path that I had not foreseen. Though, having left Pan Am in 1986 to become a psychotherapist, I had kept in close touch with my former colleagues and friends. After hearing about the incomprehensible tragedy of Pan Am 103, I realized that the only people who could actually understand and console me were other Pan Amers. We were the ones who could put ourselves in those jump seats at that precise time out of London, and could picture ourselves beginning the service, chatting with each other as we always did. And later, we were the ones who could remember the faces and the voices of those we knew. In Los Angeles, we had a beautiful memorial service held in the Wayfarers Chapel in Malibu overlooking the breathtaking blue Pacific. Back in the fold of the Pan Am family, I felt overwhelmingly comforted by our collective grief: these were “my people” with whom I had shared our Pan Am world in the incredibly exciting and glamorous times, and sometimes in unbelievably frightening and dangerous situations. Regardless, almost none of us would have traded it for any other job in the world. Even though Pan Am the company died, we all in one way or another, retain our friendship with it. Let’s do our part to make sure that it’s “Gone But Not Forgotten”. Read Dr. Davey’s Huffington Post article on the 25th Anniversary of the Lockerbie Bombing..